Charming apartment with communal pool near the coast in a beautiful setting on the bay of Rosas. This cozy and comfortable apartment is very spacious and well equipped. The living room has plenty of natural light, which creates a pleasant feeling. And you have a spacious and fully equipped kitchen. In one of the bathrooms there's a relaxing bathtub. To make your stay even more pleasant, there's air conditioning in the bedrooms and dining room. As a resident, you can use the communal pool. Besides all the luxury and comfort at home, it is also perfectly located. 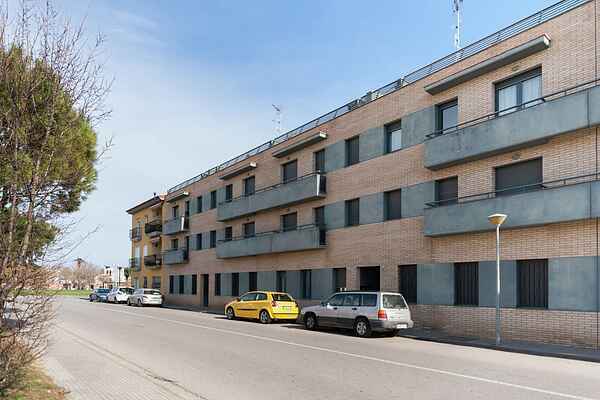 You are within walking distance of the charming centre of Sant Pere Pescador and at only 2 km from the sea. Sant Pere Pescador is located in the middle of the Bay of Roses, 3 km from Sant Martí d'Empúries, where you can visit one of the most important Greek and Roman ruins in the world. Only 20 minutes away is the beautiful Figueres with its Dali Museum. The immediate surroundings are magnificent and ideal for beautiful walks, cycling or horseback riding and beach lovers can also enjoy themselves here.